There is a massive clearing of the etheric plane in progress in the last few months and it was accelerated even further after the successful activation of the Peace Portal on August 25th. As a direct result of that, all implant hemispheres have been removed on September 8th. I will describe in detail what remains to be cleared. There is still a very small group of main etheric Archons which continues to exert control on the reincarnation process and still continues to trigger weak spots of incarnated humans through their remote control operated etheric scalar implant technology. 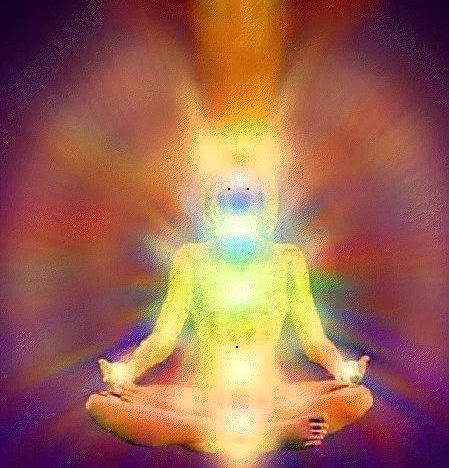 There are three implants in the etheric body auric field of each incarnated human. They are small etheric black holes which are put into a rotating etheric scalar electromagnetic field with a rotational frequency of 6.666 Hz. This is a resonant frequency which tends to suppress human emotions and free will initiative. Two implants in the frontal lobe of the etheric brain compromise free will / decision making process and tend to block individual connection with the Source. This is done done with rotating electromagnetic scalar chambers around the two implants, enhanced with etheric ultrasound scalar waves. The purpose of the ultrasound scalar waves is to scan the etheric brain of the individual and deduct many of his thought processes through fuzzy logic computer program. Also, it can immediately detect any kind of positive ET contact with that individual and then it promptly triggers protocols to shut that contact down. One implant at the etheric solar plexus membrane suppresses emotions and sexual energy and is thus used to control sheeple. Its rotating scalar electromagnetic chamber, enhanced with infrasound scalar waves generates electric current which short-circuits the kundalini. When this implant will clear, kundalini in human masses will arise and we will have a worldwide liberating revolution. The Archons use their scalar projector beam technology to project thoughtforms and elementals into implants. The rotating scalar electromagnetic field around the implants serves as an accretion disk which pushes outside elementals through the event horizon into the implant’s black hole. Folds in the quantum foam spacetime anomaly of the etheric plane still hide small black holes which are prevented from evaporating with rotating scalar etheric electromagnetic fields. These black holes contain reptilians who are sitting there in a quantum superposition state. When the scalar electromagnetic field is removed, those black holes evaporate immediately and the reptilians are removed promptly by the Light forces. The Resistance Movement is working to hack the computer program which controls the implants in the etheric mainframe computer of the Archons. When this is done, the Resistance Movement will be able to shut down the scalar field around the implants and then the implants and corresponding black holes in folds of etheric spacetime continuum will evaporate fast and finally true Light will arrive to planet Earth. In the months following that, the etheric implants were disintegrating fast and that resulted in mass awakening of the Goddess presence on the planet in 2004. However, the Archons managed to reprogram the implants and the new version of the etheric implant program was activated on December 25th, 2004. This put a huge stress on the etheric plane around the Earth in general. That etheric pressure disturbed the tectonic plates and triggered a massive Sumatra earthquake and tsunami on the very next day. After December 21st, 2012, the Resistance has managed to break into the etheric mainframe computer of the Archons but the particular program regarding implants has not been hacked yet. We are hoping that this will happen in the next few months. 1. Visualize a pillar of brilliant white Light, coming from the Galactic Central Sun, descending and encompassing your body and continuing down to the center of the Earth. 2. Visualize a mirror at the outer edge of the pillar of Light, circularly embracing you and reflecting all negativity outwards away from you, back to where it came from, and it gets annihilated there. PreviousThe Greatest Speech Ever Made – MUST LISTEN TO!